Born in 1968 an raised in Adelaide, Australia. Started programming as a teenager and graduated from university in 1990. I moved around Australia from project to project developing my skills as a C++ programmer for the best part of a decade. One sunny day in Brisbane I was rewarded with a fat bonus and decided it was time to go travelling. I planned to drive from Cape Town to London but life has it’s own way of changing plans. I met a beautiful Dutch woman and ended up in Amsterdam where I live to this day. I’ve had a long and various career as a programmer spanning three decades. I started writing real time software for radio signal processing for the Australian defence research organisation but inagined that working for the defence industry would eventually end up with programming missile guidence systems and I decided look for a new focus. I spend a couple of years developing and maintaining a descision support system for cotton farmers. I spent another couple of writing realtime and embedded software. I’ve worked for KLM, Cap Gemini, ABN-AMRO, ING, Rabobank and Fortis banks writing Win32 system software and programming ATM machines. One day early in 2009 some clever people in America realised that the mortgage market was broken and the financial crises was upon us. That more or less killed the market for ATM programming and I could finally stop driving half way across every morning and evening. 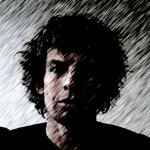 I started out as a freelance web developer and hired an office in Amsterdam. Since then I’ve been building web sites with Typo3 cms. There’s lots of work and I’m pretty good at it but I have an idea that the heyday of developing for the desktop client has passed. The client platform of today is mobile. So I bought myself a Mac laptop and started programming for the iPhone.